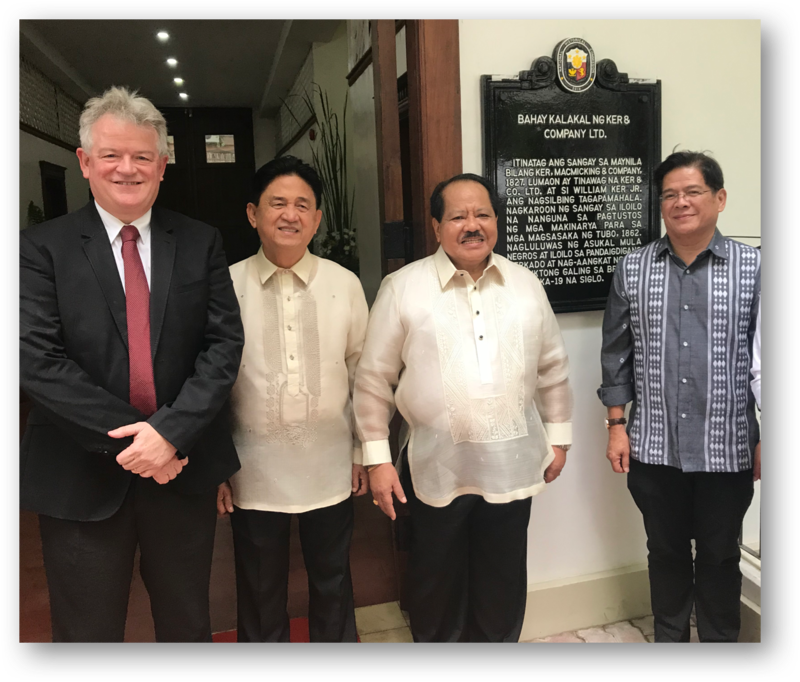 In Photo (L-R): British Chamber of Commerce of the Philippines Chairman Chris Nelson, Iloilo Vice Mayor Jeffrey Ganzon, National Historical Commission Executive Director Luduvico Badoy, and Iloilo Mayor Jose Espinosa III, at the turnover ceremony of the newly restored Ker & Company Ltd. Building in Iloilo City. ILOILO CITY (PNA) — The chairman of the British Chamber of Commerce in the Philippines (BCCP) has praised the national government’s effort to make the delivery of services to the business sector more accessible with the enactment of the Ease of Doing Business Act. “When we do and when we present the British companies, one of the main questions is the ease of doing business. So I’d like to commend him on that and I think that was for me the focal point,” he said. Nelson was here for the inauguration and turnover of the newly-restored Ker and Company Ltd. building to the Iloilo City government by the National Historical Commission of the Philippines. Ker and Company Ltd. is a British firm that operated in Iloilo way back in the 1850s, said Nelson. “We’re here to celebrate the Ker Building. I think it just reinforces our relationship with Iloilo City, with the provincial government and the economic people here,” he said. The company was very successful in shipping and (as a) trading company, he added. “But I think the historical building for me is also an indicator that the British were here before for a very successful relationship, and I think we can continue that in the 21st century. So what’s in the historical marker, I think it is also good to be an indicator for the future,” he said.